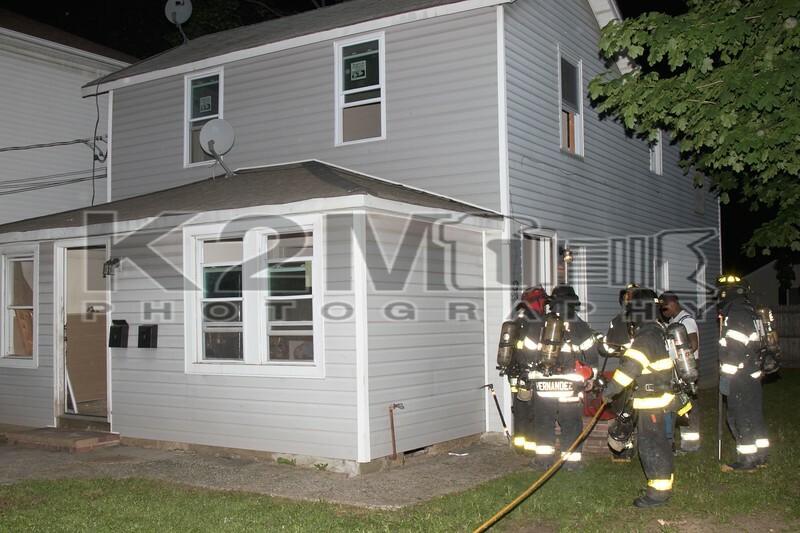 In the early morning hours of Sunday, May 27th, 2018 the Roosevelt Fire Department was called to a reported house fire at a home on Hansom Place off East Centennial Avenue. When firefighters arrived on scene they were met with an extinguished fire and a good smoke condition throughout a two-story private dwelling. Firefighters vented the home under the command of Roosevelt Chief of Department Fennell . One civilian was transported to an area hospital by the Roosevelt Fire Department with non-life-threatening injuries. Click here to see the rest of the images from K2M Photography’s gallery, Hansom Place [5-27-18].